Outlook email is an efficient and free webmail service provided by Microsoft Corporation which is also called Windows account, Microsoft account or Outlook account. Outlook.com mail has different attractive features like being Simple, fast, organized and most of all it is free. Outlook.com has excellent spam filtering system which keeps unwanted and malicious emails out of your inbox. As Microsoft is regularly updating its system to provide better security and user experience, Outlook keeps getting better with time. 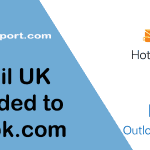 Hotmail, Live and MSN emails are also upgraded to Outlook. It is very easy to create Outlook account and Login to Outlook from all devices. It’s clean looking email where you can properly organize your emails. Here is how you can keep your Outlook email account organized and efficient. Outlook has a powerful search function. Even you have thousands of emails in your inbox or other folders, and you can find mail you want with a single search. With advanced search, you can search by date, sender, folder, subject, etc. You can filter emails by creating rules, and you can filter them in different folders. New folder and subfolder can be created, and you will be able to send certain incoming emails into these folders by setting rule. There are predefined categories, which you can manage, and new categories can be created. You will be able to see at a glance which emails belong to which category. Don’t forget about important email by pinning it on the top. If you have something important in your mail, and you don’t want to lose below other emails then use this option. Productivity apps like Wunderlist, Evernote, and Boomerang are integrated with Outlook account. Your Hotmail email can be saved as a task in Wunderlist, as a note in Evernote and Boomerang. These productivity tools surely help you to stay organized. In Hotmail email, emails can be directly saved to OneNote. This feature allows you to save your Air tickets, Online bills and important emails to OneNote. Skype is now integrated into Outlook. You can chat from the Hotmail inbox. This option saves you time as you don’t have to open another app to chat, and you can do emailing and chatting at the same time so you can perform multiple functions at once. Once signed in to Hotmail email, you can access to Hotmail calendar, contacts, and other Microsoft office online. Hotmail email has SSL turned on by default, and that mean all your emails are encrypted, so your emails are safe and secure. It has strong spam filters, so you don’t receive junk emails in your inbox. And Outlook.com doesn’t serve targeted ad by your mail content. You can use one or more aliases on the Hotmail account. You can get 5GB free online storage in OneDrive. 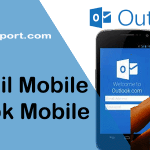 Excellent Outlook mobile application for Android, iPhone, and Windows devices. Outlook/Hotmail calendar to organize events/meetings. Email aliases which can be created and managed easily. Lesser ads than it’s competitors like Gmail, Yahoo mail. POP3 and IMAP settings for Hotmail email, Outlook.com, and Windows Live users is as follows. Outlook.com is an upgraded version of Hotmail. 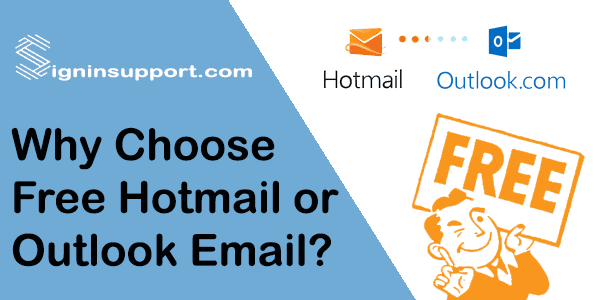 Though the name is changed from Hotmail to Outlook, your login credentials remain same i.e. you can sign in with old Hotmail id and password unless you change it. Your old emails and contacts remain intact in new Outlook. Emails from Microsoft (@hotmail.com @outlook.com @live.com @msn.com etc.) are known as Microsoft account. If you have any of these emails, you don’t need to create another Microsoft account. Outlook.com is a web-based suite of email, contacts, tasks, and calendaring services from Microsoft. One of the world’s first webmail services, it was founded in 1996 as Hotmail (stylized as HoTMaiL) by Sabeer Bhatia and Jack Smith in Mountain View, California, and headquartered in Sunnyvale.Hotmail was acquired by Microsoft in 1997 for an estimated $400 million and launched as MSN Hotmail, later rebranded to Windows Live Hotmail as part of the Windows Live suite of products. Continue to Hotmail account sign in.